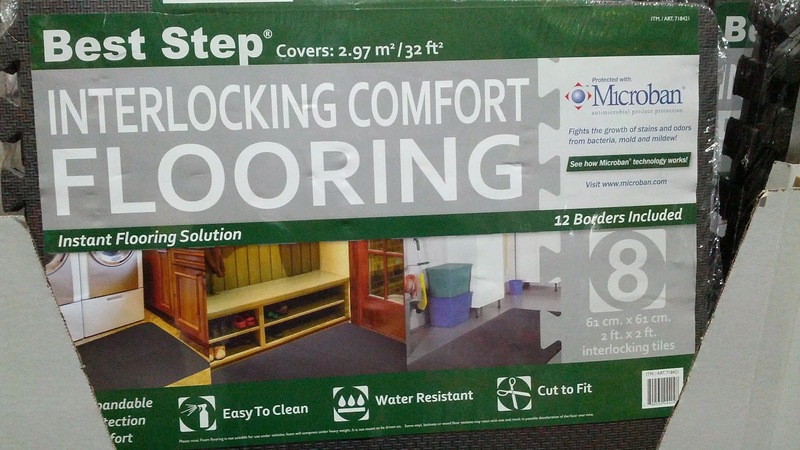 I bought this set of Best Step Interlocking Comfort Flooring for my garage to create a small work area for small home DIY projects. I bought another to create an area for a home gym. It not only does a great job protecting the floor but immediately gives the room a clean and homey look versus an industrial warehouse type setting in the garage. The Microban technology is a great bonus as well. Microban fights the build-up of bacteria, mold, and mildew. 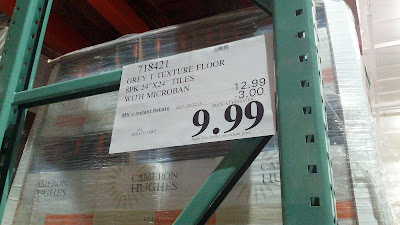 Best Step Interlocking Comfort Flooring. 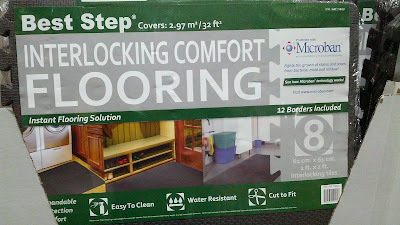 Best Step Interlocking Comfort Flooring with Microban antimicrobial technology. 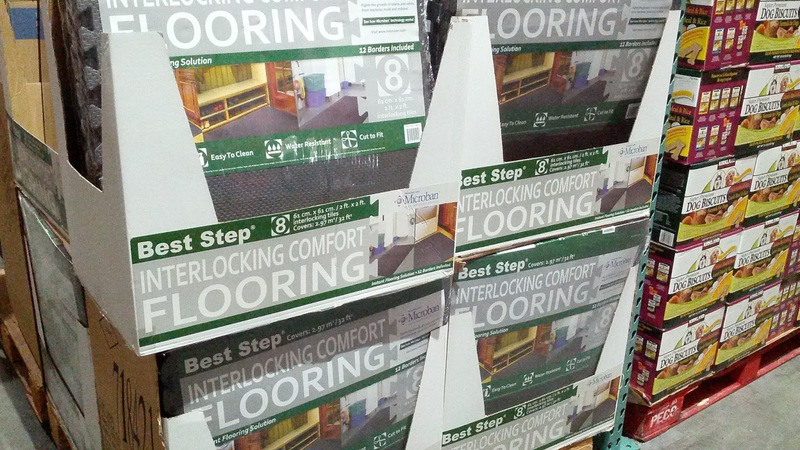 Best Step Interlocking Comfort Flooring great for gyms, mud rooms, garages and work areas. Best Step Interlocking Comfort Flooring. Instant solution to protect your floors; useful for home gyms, garages, mud rooms and work areas. 8 tiles and 12 borders covers an area of 32 square feet.